This is more than a word that is heard daily in the Occupied Palestinian Territories. It is in every breath that is inhaled and exhaled, it is a determination and the practice of staying put for Palestinians. It is the non-violent struggle to remain on their land, the connection to their history, the hope for their future. 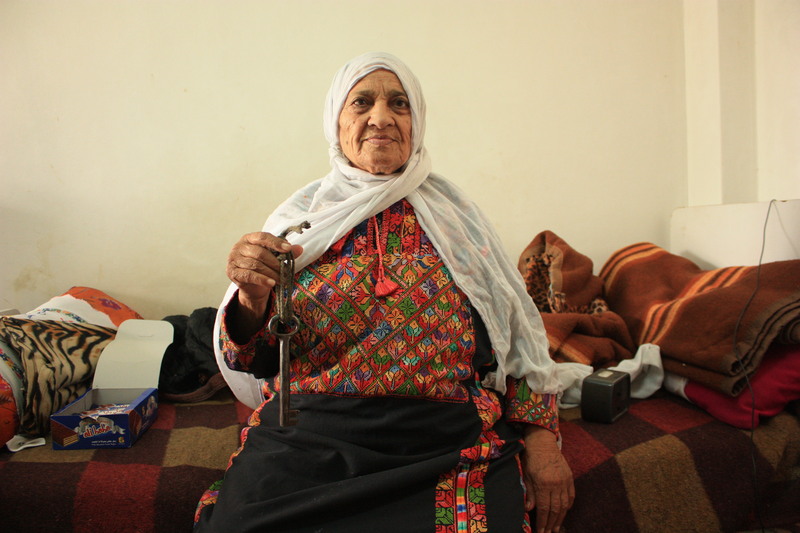 It is the perseverance that keeps Palestinians strong in the face of adversity. It is the deep certainty in the minds of Palestinians, who struggle daily to keep their homes, their livelihood and their families safe, that one day they will see justice. Images for the exhibition were taken by volunteers on the Ecumenical Accompaniment Program in Palestine and Israel during their three month posting from February – May, 2012. Sumud is, from behind bars, to name your first daughter, Amal (hope) and then, from exile, your second daughter, Amaal (hopes). Sumud is to teach your children to swim in the local swimming pool; to be ready one day to embrace the blueness of the sea that you, yourself, have never seen. Sumud is to re-build your house for the third time after the army demolished it – again – and then to have a fierce argument with your partner over the best place to plant the rose trees so that they can withstand the next demolition. Sumud, is to slip out of the house at dawn, to cross the check-point, then to return quietly home just before midnight so you don’t disturb the dreams of your child. Sumud, is to conspire, or to day dream, on how to break the rule of law of the Israeli iron cage just to kiss the girl across the road. Sumud, is a doubly rebellious child born at a checkpoint on the way to hospital against the wishes of the mother and the orders of the soldiers.